Report on Keith bags 100 Munros! Fifty, Fuzzy, but ?.ing fantastic ?..x 2 !! 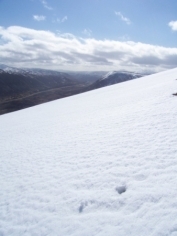 Several years ago, sat atop Ben Starav, (my 50th Munro) I thought I ought write a brief report for the club website and title it, ?Fifty, fuzzy, but ?.ing fantastic? ; but of course I never got around to it. So then, when on Monday afternoon I stood with Nita at the summit of A? 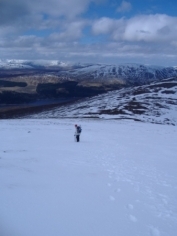 Mharconaich high above Drumochter Pass, (my 100th Munro) I thought I?d better write something this time ? only trouble being ?now it didn?t rhyme! 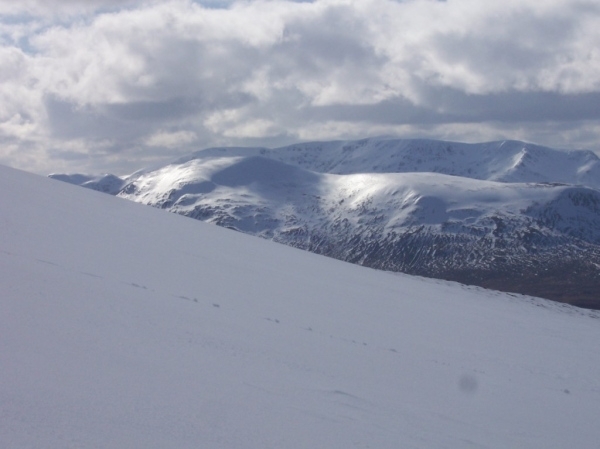 We?d decided several months back that if a suitably fine winter day arrived, we?d do the long dash up to Drumochter and try and walk the two Munros Gael-charn and A? Mharconaich. 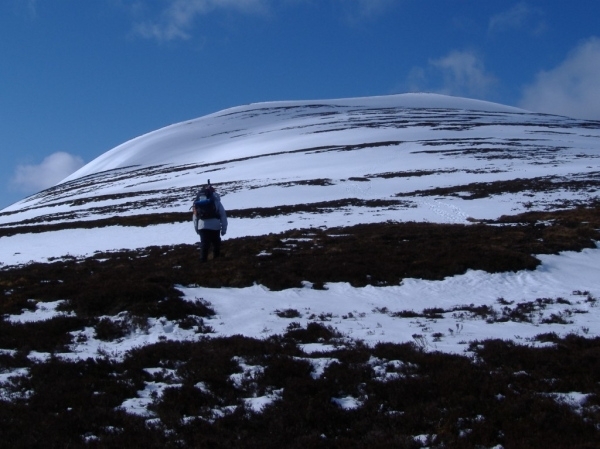 They are gentle heather and stone covered hills rising between Drumochter Pass on one side and Loch Ericht on the other and we thought they?d make a perfect winter wander?.nothing too serious. 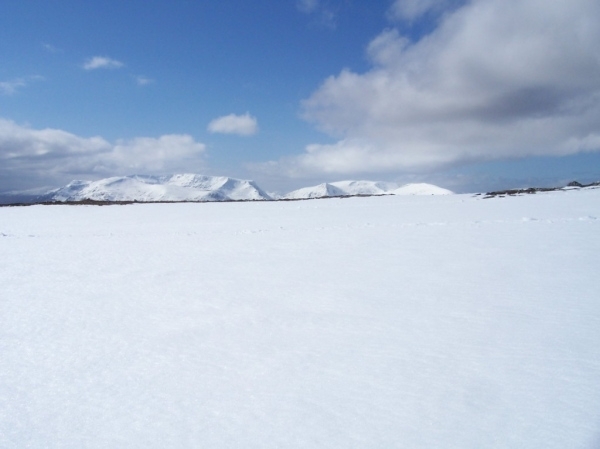 We arrived at Balsporran Cottages a few miles to the north of Drumochter Pass at about 10. 15am and everything was looking stunning?.blue sky and snow starting just a few hundred feet above the road. Although mainly very easy angled, the descent from A? 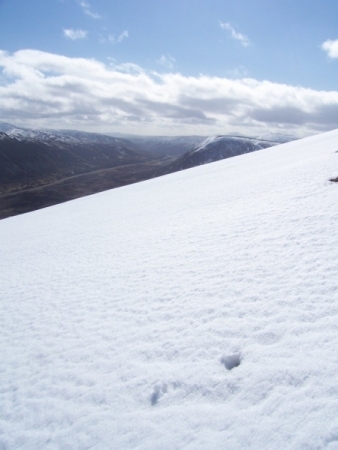 Mharconaich looked very steep at first and Nita could see a lot of snow accumulated on it. 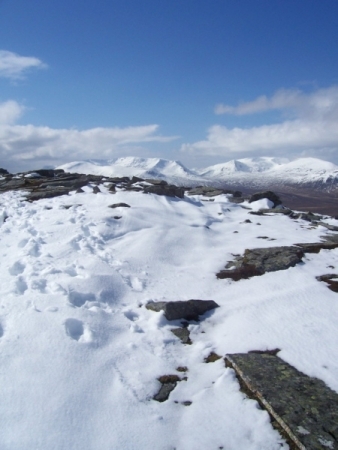 We decided therefore to climb Gael-charn first, then drop down to a beallach and up onto the big flat summit plateau of A? Mharconaich. Instead of the steep descent we would retrace our steps to the beallach and follow a stalkers path back down the glen to the car. And that is what we did. It was an amazing day. The snow was good and never really icy. We didn?t need the crampons and the only slopes steep enough to warrant getting the axes out where on the way up and down A? Mharconaich ? but even these were still pretty gentle. The views all day were beautiful and even the wildlife came out ?Nita spotting an eagle as we descended from Gael-charn and later as we sat having lunch we were watched by two very casual mountain hares that were sat on a rock not far away. 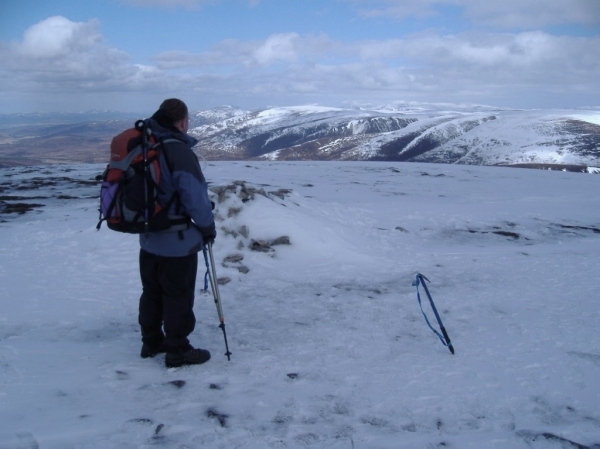 A perfect way to climb my 100th Munro. I realise it?s not a huge landmark for many walkers but when my sight started to fail back in 1990 I seriously thought I?d have to stop hill walking altogether. 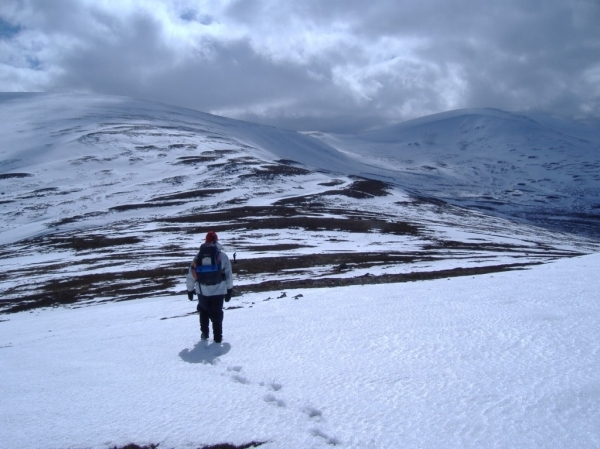 I?ve been very lucky to have met so many people who?ve been willing and patient enough to walk with and at times guide me over these wonderful Scottish hills. 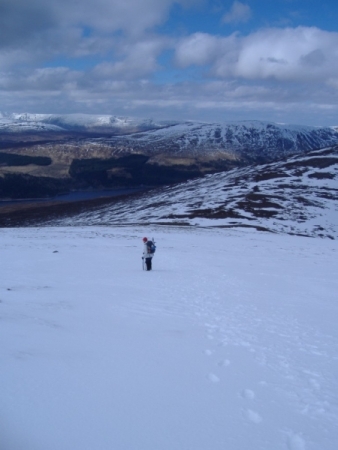 So then, a big thank you to all those in Air na Creagan Mountaineering Club (both past and present members) who?ve guided me around bogs and cliffs or who simply but very patiently have waited uncomplainingly in the cold while I?ve caught up ?it?s been very much appreciated. 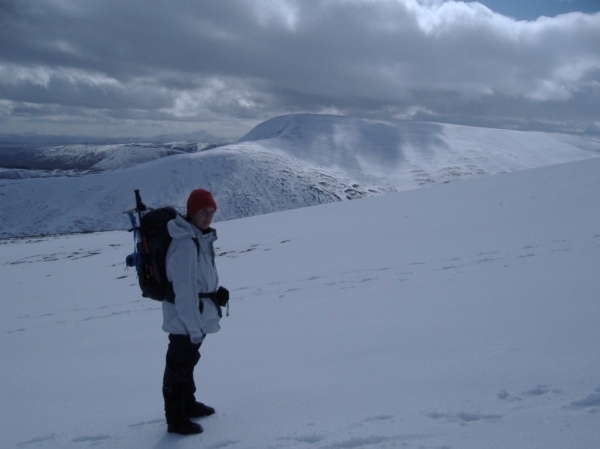 As for the Drumochter Hills, I would thoroughly recommend them to anyone wanting an easy but exhilarating winter wander. Congratulations Keith, from everyone in Air Na Creagan.